Time to slow down and prepare the garden for winter. Make sure all your hardy greens are mulched and covered with floating row cover. 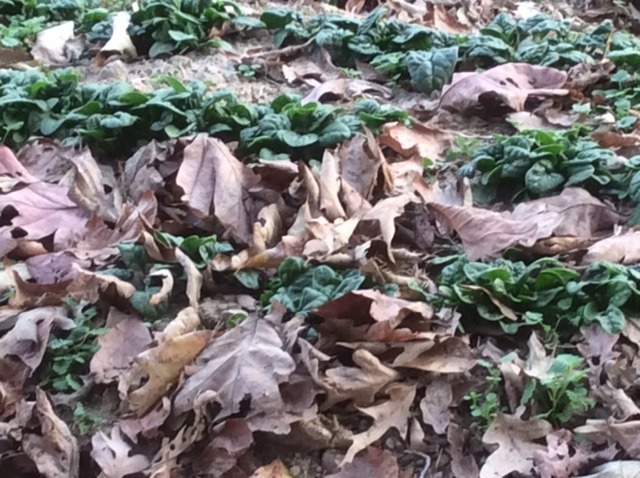 Sow an edible cover of mustard, turnips and kale in some areas. Finish up sowing all cover crops by early Nov. Get a soil test and spread lime or gypsum as needed by mid-November. 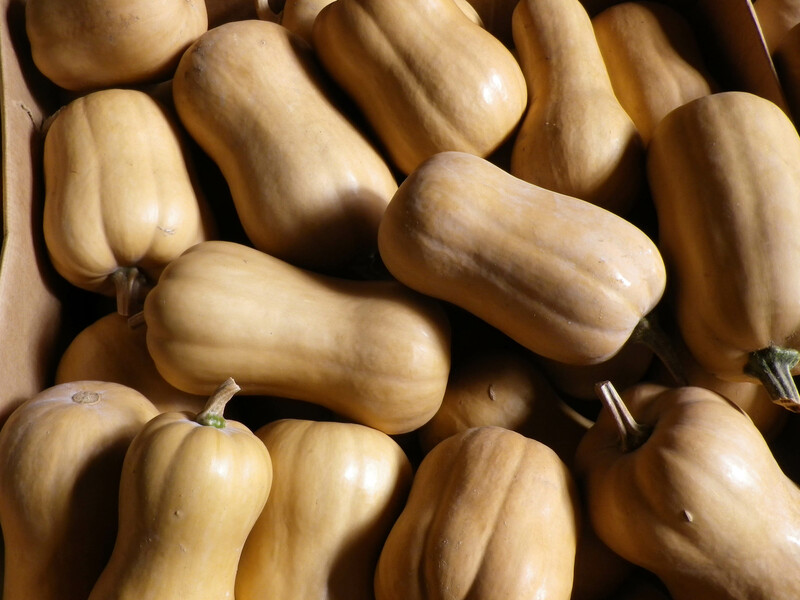 After the first hard frost harvest winter squash, move it to a protected location outside or under cover to cure for 2 weeks, then into a cool, dry location for storage. Finish harvesting your carrots (hardy to 12F), beets, celeriac, kohlrabi, turnips, rutabagas (OK to 20F), winter radish (hardy to 20F). Wash and store in perforated plastic bags or ventilated containers in the fridge. Mulch heavily any remaining carrots and beets you plan to keep in the garden for extended winter eating. Finish curing then store boxes of sweet potatoes in a space as near to 55-60F, 80-90% humidity as possible. Check white potatoes in storage 2 weeks after harvest sorting and removing any damaged potatoes. Winterize your rototiller. Remove and store any remaining irrigation tape, fixtures and hoses. Check for any tomato cages or trellises you may have left in the garden. 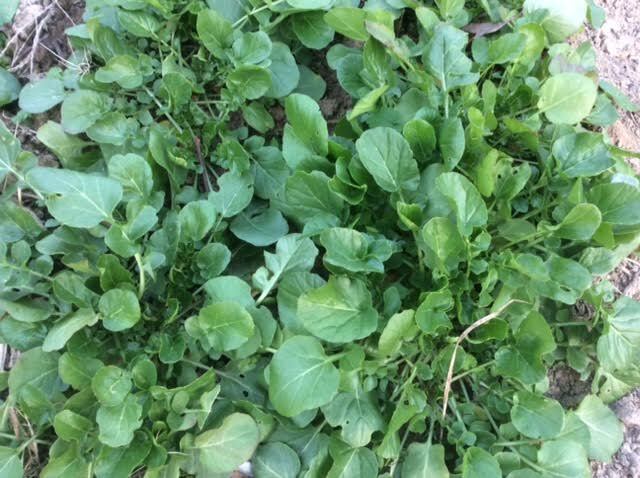 Sow more spinach and kale under cover in early November for spring harvest if not already done. When soil temp at 4″ deep is 50F, plant garlic, and mulch immediately, but not too thickly. Free trapped garlic shoots from over-thick mulch, when 50% have emerged. 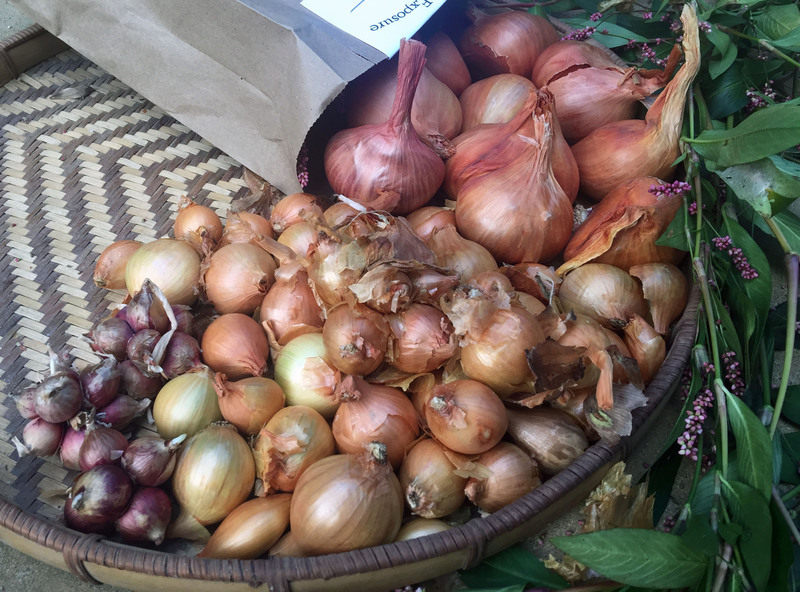 Plant yellow potato onions, Egyptian onion, and garlic by late-November. For more info see the SESE perennial onion and garlic growing guide. Check temperature of your garlic storage area and move it to a different location if necessary. Always store garlic below 40 or above 50 – storage temperature between 40 and 50 can initiate sprouting. Fermented foods are all the rage. Try making kimchee or sauerkraut with part of your harvest. Wash jars and screw bands in hot soapy water. Pour boiling water over flat lids in saucepan off the heat. Let stand in hot water until ready to use. Boil jars in water for 10 minutes. Let stand in hot water until ready to use. Mix wine, garlic, vinegar and rosemary in 3 or 4 quart saucepot. Stir in sugar. Add butter or margarine to reduce foaming. Bring mixture to full rolling boil, reduce heat to a simmer and simmer for 5 to 7 minutes. (This helps suspend the rosemary and garlic in the mixture.) Bring mixture to full rolling boil that can’t be stirred down. Take saucepot off the burner and add package of Certo quickly. Return to boil and boil exactly 1 minute, stirring constantly. Remove from heat. If there is foam and there should not be much, it should disappear when stirred before placing in jars. If there is a lot of foam, skim it with a spoon. Label and sore for holiday giving or use it over a block of cream cheese with crackers or put a teaspoon or two on a piece of boneless, skinless chicken or pork in the last 15 minutes of baking. Enjoy your sweet outdoor kale, spinach and carrots. Relax and give yourself a pat on the back. There’ll be new seed catalogs in your mailbox any day!